I’ve bought and sold dozens of cars and never dealt with Odo tampering. 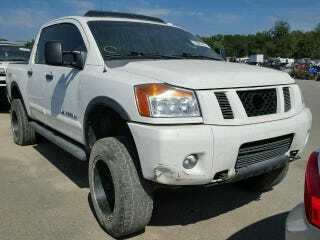 Now, several weeks ago I was looking at a Tundra with 120k miles. Carfax showed last registered ODO as 200+. Now this titan. NICB was clean, no accident or theft reported. Googling the VIN shows it was run through a COPart auction last fall with 200,000 miles, now showing 152k. What are the odds of finding TWO odo tampered trucks in three weeks?